Johnson & Johnson’s World Corporate Headquarters is located in New Brunswick, NJ. To better service the needs of their executives and VIP’s, Johnson & Johnson renovated its helicopter landing pad. 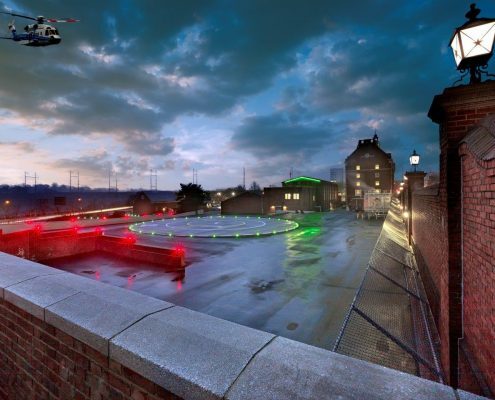 The project consisted of the replacement of the pad surface and helipad safety lighting. Hatzel & Buehler’s scope of work included the removal of existing and the furnishing and installation of new approach, landing and obstruction lights.